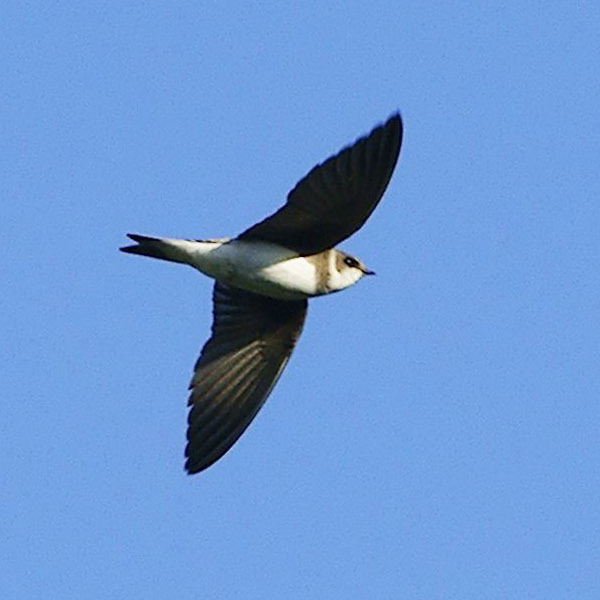 English: A Sand Martin flying in Markinch, Fife, Scotland. This is a retouched picture, which means that it has been digitally altered from its original version. Modifications: cropped on four sides to centre the bird. The original can be viewed here: Riparia riparia -Markinch, Fife, Scotland -flying-8.jpg. Modifications made by Snowmanradio.